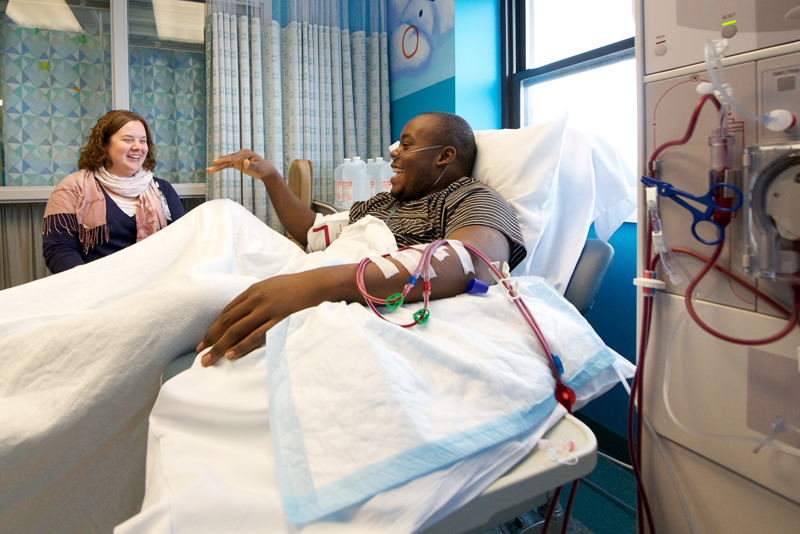 The repetitive “woosh-woosh-bump” sound of the dialysis machine fills the room as 19-year-old Chris Blackwell sits tethered to the machine for four-hour stints three times a week. 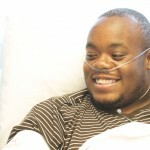 He has been receiving dialysis since he was diagnosed two years ago with chronic kidney disease. He’s waiting and actively praying for a kidney transplant, but he has no idea if or when that might occur. Meanwhile, he’s too tired to do many of the activities his young adult counterparts take for granted. 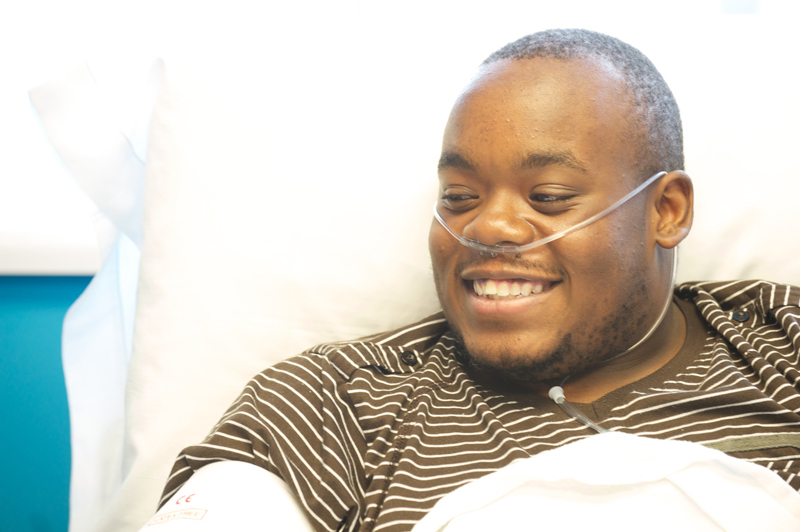 He has spent a lot of time on the seventh floor in Akron Children’s Hospital’s dialysis unit. He’s made friends there. 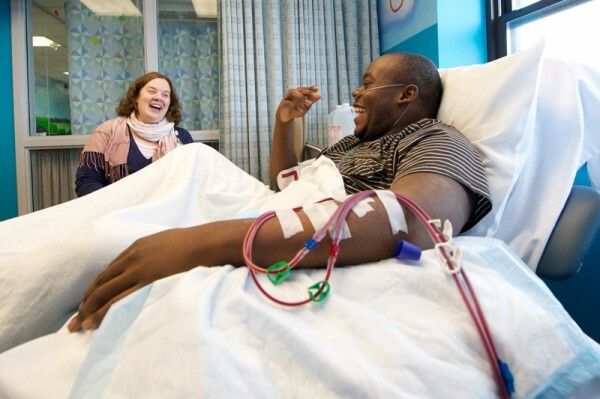 Many of them have gotten kidneys donated and transplanted. They have gone on with their lives while Blackwell is still waiting for his turn to come. 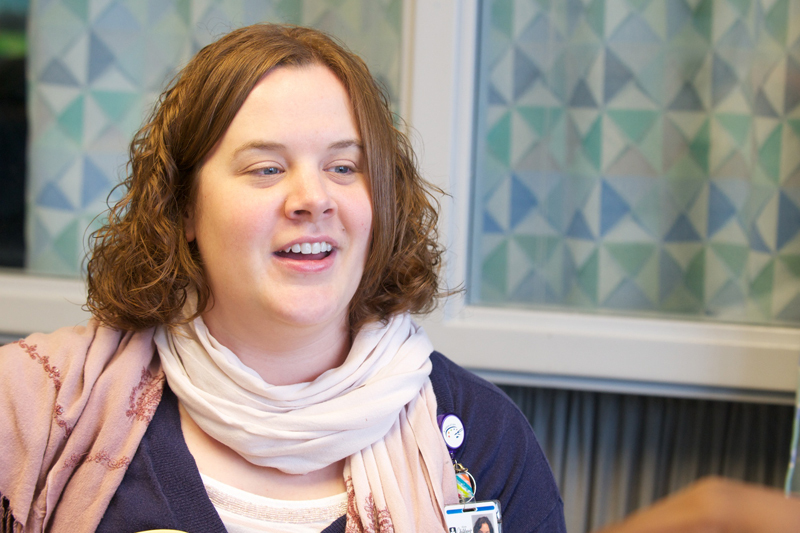 Enter, stage left, music therapist Sarah Tobias. Tobias, who has a degree in psychology and music therapy, meets with Blackwell at least once a week during his dialysis session. The two discuss favorite songs, how Chris can learn to play them on his guitar, and a host of personal issues that are top of mind for Chris. Blackwell likes Christian rock songs along with most mainstream pop. He shares with Tobias a few songs that he recently found and liked on YouTube, including Sweetly Broken, by Jeremy Riddle. During a recent music therapy session, Tobias writes music notes on index cards. She mixes them up and places them in a make shift dish, an upside down tambourine. Blackwell picks three randomly and those notes become the foundation for the chords. 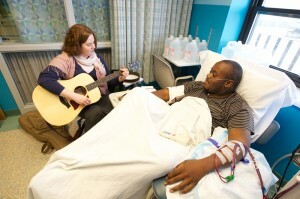 Blackwell’s arm is laced with tubes that carry blood to and from the machine, so he can’t play guitar while he’s receiving dialysis. So Tobias picks up her guitar and strums the new chords. Soon, their two voices meet. They jam, singing with musical sounds instead of words. There are many “la, la, la’s” as they work together to figure out the melody, verses and chorus to their new song. Before long, they decide to insert some words. All the while, it’s clear that Blackwell has been transported to a better place through music. Tobias said that her role while working with Blackwell is to focus his energy and help prepare an environment for his creativity to shine through. 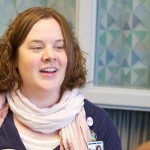 Soon, the two will create a CD of existing and new music in Akron Children’s expressive therapy center. Please let Chris know that his time will come, but it does require patience and prayer. I received a transplant 2 years ago and know what he is going through, but I never gave up hope, and I remained positive at all times.